PMSP software acts like your close pal through all times getting hold of such Estate Agent software for your estate agent business gives utmost pleasure. It enables your business to grow by many folds with guidance. Many companies spend huge amounts to add value to their business with regards to estate agent software. There are some key elements to encounter your letting agent software in the current property management field. Can the Estate Agent Software be uniquely based CRM? Yes, it can be! PMSP Software stands as your unique and friendly cloud-based estate agency software system. It comes from the experienced house of Kreativ Web Solutions. 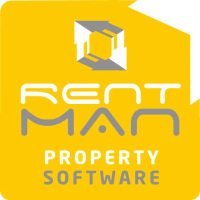 This PMSP software acts as a uniquely designed letting agent software for all your business needs, packaged with the right quantity for your property management criterions. Ever heard about a software which not only guides you through your current existence but also navigates your business in a futuristic sense? PMSP is the one which fits the above bill at will. PMSP Software is new, PMPS Software is advanced, PMSP Software is the in-thing for the users. It enhances your Estate agent software experience. We provide you with offers that you cannot say no to! Our service is focused majorly on giving you the best business pathway and we also believe in maintaining a long-lasting relationship. The PMSP Software allows you to post new instructions onto the social media platforms like Facebook, Twitter, and other supported platforms at one go! With the touch of a button, the users can avail all the communication activities. The PMSP Software is primarily based for the real estate industry. Going by the current market trend, it is all about the Cloud-based software systems. The cloud software is for the estate agents in the process of offering better service in comparison to the PC based systems. It allows for all-time accessibility, any place, anywhere and anytime work feasibility. This letting agent software can be availed on any device which has the provision of using the internet. 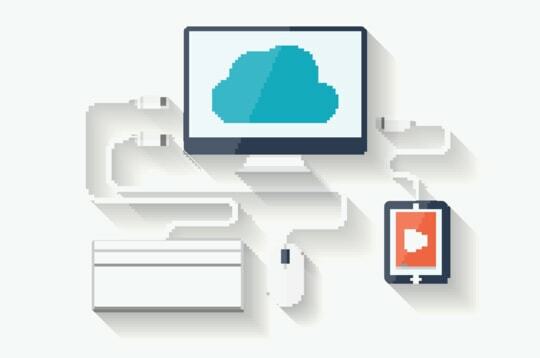 It isn't that you shall need a desktop to work through your software, as the Cloud based applications enable you to navigate them via your smart phones. The cloud software that we offer you is fully integrated and allows for the property information to be added in real time. Any instructions, additions or changes to the already existing information can be done instantly. The property management instructions can be processed, worked upon and emailed in accordance. Come and become a part of the Kreativ Web Solutions which shall provide the estate agent software that is totally apart from the rest of the players in the software market. Want to know some tidbits about the Integrated Sales Management? Our PMSP Software is a system which consists of a sophisticated and integrated sales management system. Its user-friendly features shall entice you to the core and, make your investment noteworthy. The advanced module is aimed in the futuristic sense to enable an easy-going sales management process. Once the sale is agreed upon, the integrated sales management system takes over details and targets regarding the sale property in to the estate agent software module. This Estate agent software allows for a sales progression and is properly organized. The progression period of the sales is simple and well managed by the system. Our PMSP Software ensures to foresee the updates and changes the information in accordance. All the stages are recorded, managed and processed at ease by the integrated sales management system. Our PMSP Software for all the estate agents primarily consists dynamic diary. It is present within the PMSP Software and offers a huge chunk of benefits to the estate agents world over. The major benefit is that the dynamic diary is available to any place and accessible from any place. Be it a personal desktop, laptop, tablets or smartphones, PMSP Softwares dynamic diary mode solves all the troubles at one-go and the information is always on the move. PMSP Software's live diary has been the most liked feature by our users. It contains simple wizards that assist the user whilst creating appointments. It saves sample amount of time and effort. In times wherein, you need to book an appointment, all you need to do is to simply click on the appropriate time in the diary and choose the person/ property. The appointments shall then be registered in the diary. It also features a built-in reminder system which acts as an important tool. Sometimes in life, all we need are few reminders to ourselves and PMSP Software provides the same to you. The dynamic diary is designed in such a way that it reminds you and the viewers about the appointment. The reminders are sent via messages, emails or texts at the time chosen by you. If you venture yourself within Kreativ Web Solutions, you will find yet another interesting aspect called the Portal Integration. It is nothing but the ability to pass on your information of the letting and sales properties to various key property management portals across the globe. You shall just need to enter the information into the PMSP Software, save and it will be preserved for you! Feeds such as Rightmove, Zoopla, Onthemarket, and others are present in place with PMSP Software. The Rightmove feed is live which enables you to make changes and its live immediately. The vendors shall be pleased to know about this technique of viewing requests and registrations from Rightmove to their agent accounts immediately. It's all about being notified at the right time about right things and this Portal Integration helps build the same. What do you get by availing it? Kreative Web Solutions fosters cloud-based system technology along with the time serves. It takes the onus to offer system hosting as well as the uptime factor. Our in-house development properly optimized cloud systems. Security and encryption stay the focus while the space on a powerful server holds equal importance. Your data is backed up efficiently in our system base. The Eapps support team works in tandem with our development team which provides 100% uptime service. Our PMSP Software depicts full guarantee offering to your business needs. The PMSP Software has been in the running since few years and it has garnered huge number of estate agent clients worldwide. Though PMSP Software is our new product, Kreativ Web Solutions has been an old and experienced player in the market. We jotted down the best technological advancement in our PMSP Software to retract the old desktop software applications versions. It wasn't any easy task to build the PMSP Software, but the product has ventured into the business groups with ease due to its feasible usage and benefits. Our hugely experienced team has generated fantastic results with the PMSP Software and the clientele talks are a proof for the success. PMSP Software has been taken wholly with both hands and has been doing great business currently. The clientele uses our services for technical and technological suggestions. Getting a Trusted Partner tag has been a major achievement for us and we strive hard to continue being one! We offer unbiased advice and help to our customers. 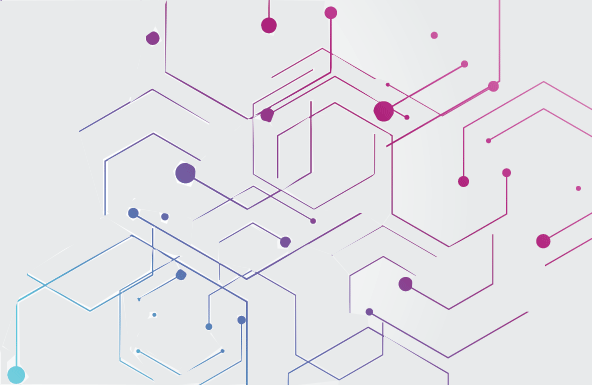 In the field of technology, being a Trusted Partner isn't an easy task, but our diligence, skill and service provision has earned itself the tag with aplomb. Our clients are our clients for life and we have been continuing our journey with a long list of clients ever since our inception. We generate free training courses for our clients for having the best customer relationship. An account manager will be positioned exclusively for you. Any support needed, our team will enable for a smooth functioning of your business. We provide unconditional and instant support to your business the moment we receive the request from you. Immediate assistance is offered for system updates or information changes. During moments of confusion or help, feel free to get in touch with us, for we shall solve the maze and give you a quick resolution. Thank you for having someone like umesh on the support for PMSP software. He never fails to solve my Problems, Helps me out in a quick and timely manner. I started to use Estate agent lead management software Last year, the more properties I upload on the software, The more helpful I find it. It's saving me a lot of time. Thank you. Awesome Customer service. The software we recommend above all others is the PMSP, value for money. With this, our Property management process is so simplified. Easy property management and Sending for portals.